After the discovery of the effects of LSD in 1943, it became the most extensively studied psychopharmacological agent ever. Its experimental use led to some groundbreaking discoveries about the brain and the deeper layers of the human psyche. LSD has an extraordinary reputation, due to the special effects it can induce on human consciousness, which makes it a valuable research tool, a therapeutic agent, and a controversial catalyst of individual and social change. 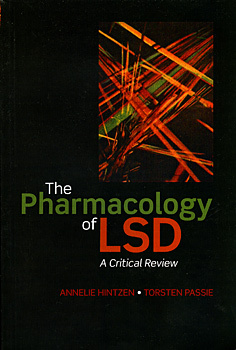 This book represents the first ever comprehensive review of the psychological and pharmacological effects of LSD. It draws on data from more than 3000 experimental and clinical studies, with more than 1000 referenced. "We should be grateful to the authors for their patient compliation of a huge literature... the subject has always raised emotional controversies, but this volume provides a much-needed sober and scientific account."